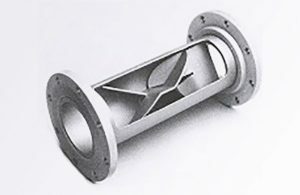 This Model circulates fluid through two test sections of various diameters in order to generate differential pressure versus flow rate data. This data helps to determine the effectiveness and longevity of various friction reducing agents added to the test fluids. 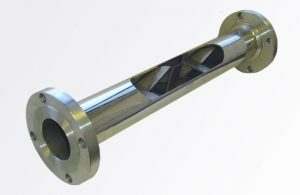 The system incorporates a low shear, progressive cavity pump for injection of base fluids with the flow rate controlled by a Coriolis flow meter. 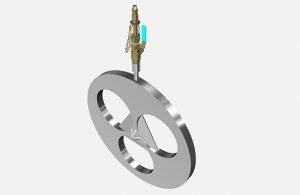 Differential pressure transducers are provided on each tubing diameter for multiple data readings per test. 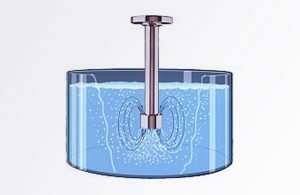 Fluid can be injected into the flow stream via an optional metering pump or added directly into a 15 gallon reservoir mixing tank. The software is designed to be easy to use and powerful enough to calculate and collect all required data during the test cycle. The software allows the operator total control over flow rate, test time, temperature (optional) of each individual test. All data and test parameters are stored in a test-specific .CSV file for analysis.